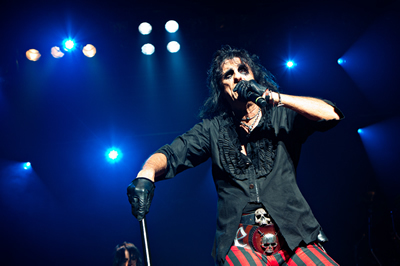 It’s All Hallows Eve (well nearly), the festival of the dead, and the rock god of shock horror macabre theatrics, Alice Cooper is in Wolves with his annual Hallowe’en Night of Fear tour. Promo says to dress up - so the audience should feature a few outrageous costumes, as there will be cash prizes for the winners! 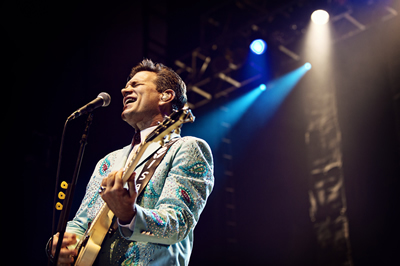 “Other than his two classics name a Chris Isaak song?” This was how the conversation went on the way to the Civic Hall in Wolverhampton on Saturday night. We struggled. Fast forward two hours and whilst we still couldn’t name more than a handful of his hits the Gig Junkies photographer and I were reeling from the spectacle we had just witnessed. Superlatives a-plenty could be used to describe what we had seen, ‘spellbinding’ and ‘amazing’ being merely a couple. Chazzstock is a new one day Festival at Wolverhampton Civic Hall. It’s been organised as a tribute to the late Ou Est La Swimming Pool singer Charles Haddon and some of the proceeds are going to local charities. The organisers hope that it will become an annual event. 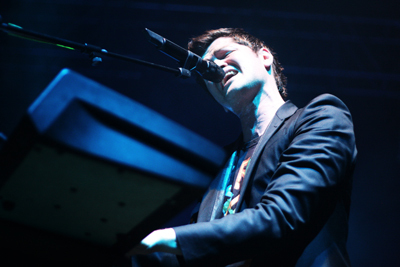 The line-up features some top indie acts and some up-and-coming bands. Headliners are The Horrors and The Vaccines. Noah and the Whale are only on their third album and have achieved a lot in the last three years. 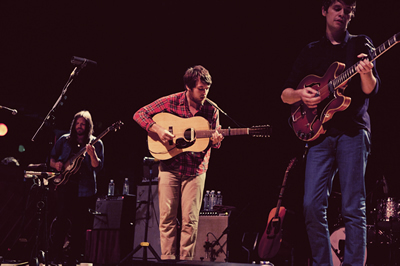 The first album included Laura Marling as a member and was fairly whimsical. 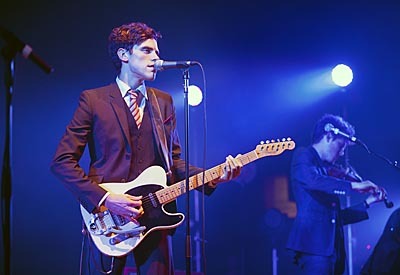 However, they really took off with their heartbreak 2009 album, The First Days of Spring, which was inspired by lead singer Charlie Fink's breakup with Marling. Like many break-up albums it was a great record (Dylan's Blood on the Tracks being perhaps the greatest). But their real commercial breakthrough came with last year's Last Night on Earth album. 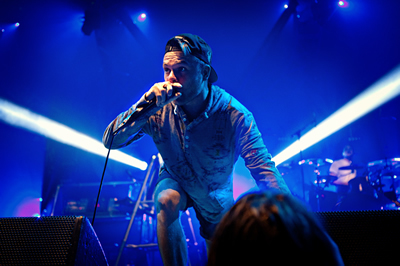 Enter Shikari are a band that have had epic proportions of airtime on mainstream radio since their debut album ‘Take to the Skies’. Their new release ‘Flash Flood of Colour’ has primed the lasers again for another onslaught on the metal/electronic scene. The Specials are back in Wolverhampton. 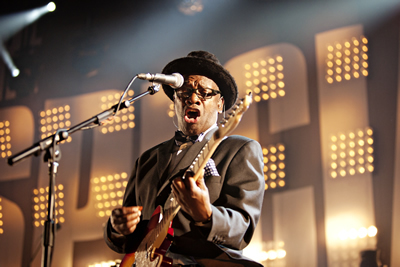 The pioneering two-tone band reformed in 2008 and played Wolverhampton in 2009. They must have liked their reception because now they’re now back again for a two night run in the city (whoops, nearly called it a town!) and I am privileged to be at the first gig! Tonight you get really great value for money too, with a lengthy set from headliners, the Specials, plus two excellent support bands which blend well with the style of The Specials. We've always been big fans of The Bees here at Gig Junkies. 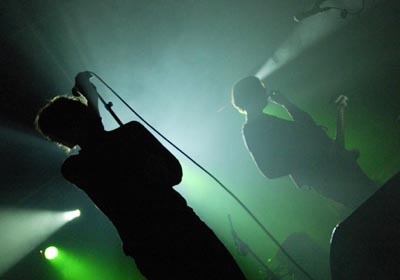 Ever since we saw them (and were blown away) in 2003 at the 'old' Birmingham Academy 3. Needless to say when we found out that they were supporting the splendid Fleet Foxes we knew we were in for a veritable treat of harmonies upon harmonies and upbeat folk jaunts. Delightful. 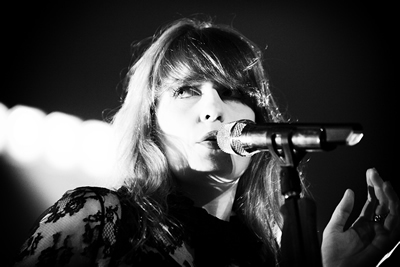 Florence casually sauntered on stage suggesting a relaxing gig, but I was wrong. Wearing in a black lacy dress over knickers and vest, she kicked off her shoes quite quickly and built up more and more energy with each song. Banging on a drum at her side and jumping around on stage, the audience were soon eating out of her hand. Her interaction with the audience created a really good atmosphere in the hall, which was just the right size, not allowing the intimacy she created to be lost and not letting her powerful voice overwhelm the room. 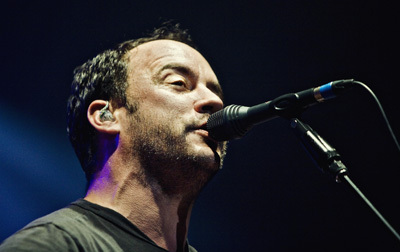 Dave Matthews Band are probably the biggest band on the planet that most of the UK population have never heard of! Having sold close to 35 million albums they are listed in the Top 100 highest selling music acts of all time. Their last five albums all debuted at No.1 in the US charts. So tonight's gig to a mere 3000 enthusiastic punters could be considered an intimate affair compared with the stadiums and amphitheatres the band usually perform in. Considering Lenny Kravitz seems to be out of favour with the British music industry at the moment and the price of the tickets seems expensive for the Civic Hall; there is a great turnout for the show. There is nearly an hour’s pause between the support act and the start of Kravitz’s performance, but when the show kicks off, the memory of waiting around is soon wiped. The darkness is lit up with an excessive display of strobes, whilst the audience erupt into cheers and shouts of Lenny. Then, the band launch into Freedom Train, with its pounding introduction, and you can tell, instantly, that Kravitz has collected together a fine ensemble of musicians. 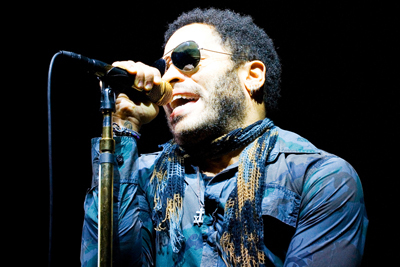 The appearance of Lenny Kravitz, sends the crowd into a frenzy, his vocals sounding fantastic and his charismatic presence oozes sexuality and musical prowess. You may have been mistaken that The Saturdays are just another boring girl pop group, with typical washboard stomachs, perfect hair, fabulous wardrobes and average singing voices. Well you would be wrong... Those girls proved at their performance in Wolverhampton that while they may have many of the qualities – they certainly did not have average voices or had to mime like Britney. Those girls can actually sing, dance, play instruments and put on a pretty decent show.